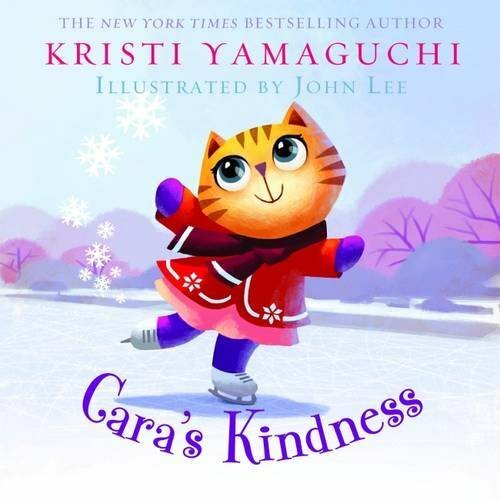 Kristi Yamaguchi, the New York Times bestselling author, will be signing copies of “Cara’s Kindness” at the following locations across the country. Following her figure skating victories at the 1992 Winter Olympics and World Championships, Kristi skated professionally for more than a decade. This past year, Kristi Yamaguchi’s Friends and Family TV special aired on NBC for the fourth straight year and she was a winner of ABC’s Dancing with the Stars. Visit www.kristiyamaguchi.com. Cara the Cat is struggling with picking the perfect song for her new ice-skating routine. But when a friend in need turns up at the rink, Cara drops everything to lend a helping hand. All she asks is that he pay it forward! Before long, Cara’s kindness is passed all around…and might even make its way back home!